West Bengal Board of Secondary Education (WBBSE) Results 2018, West Bengal Board Class 10 Results. 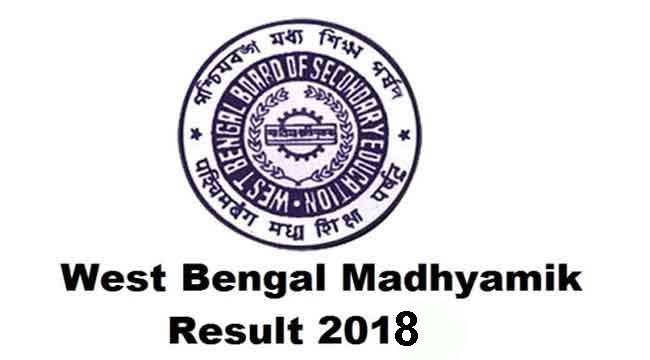 The West Bengal Board of Secondary Education (WBBSE) is likely to declare the results of Class 10 (Madhyamik) 2018 exam on 6 June, according to News18. Aspirants can check their results on the official wbresults.nic.in or wbbse.org. Hindustan Times reported that the WBBSE Class 10 2018 result will be available online from 9 am on 6 June and the students will get to collect their marksheets from their respective schools from 10 am on the same day. - Go to the official website, wbresults.nic.in or wbbse.org. - Click on the link displayed on the official website which will display the results. - Enter your roll number and other details and click on 'submit'. - Take a print out of your results for future reference.